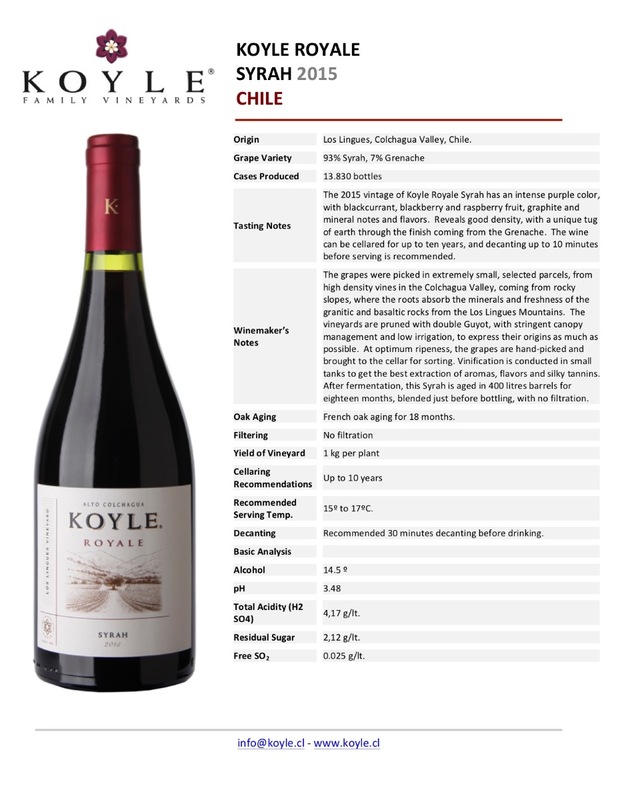 The 2015 vintage of Koyle Royale Syrah has an intense purple color, with blackcurrant, blackberry and raspberry fruit, graphite and mineral notes and flavors. 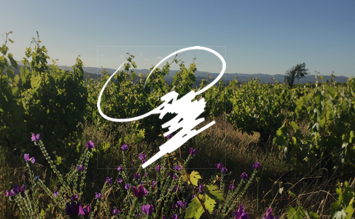 Reveals good density, with a unique tug of earth through the finish coming from the Grenache. 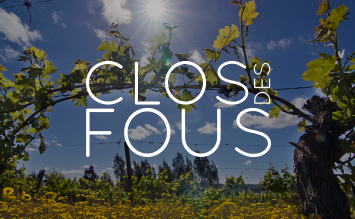 The wine can be cellared for up to ten years, and decanting up to 10 minutes before serving is recommended. 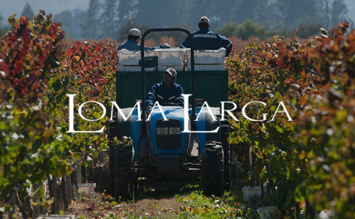 The grapes were picked in extremely small, selected parcels, from high density vines in the Colchagua Valley, coming from rocky slopes, where the roots absorb the minerals and freshness of the granitic and basaltic rocks from the Los Lingues Mountains. 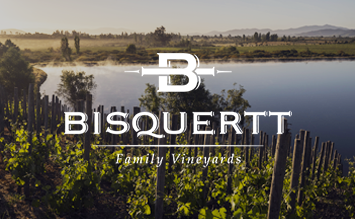 The vineyards are pruned with double Guyot, with stringent canopy management and low irrigation, to express their origins as much as possible. 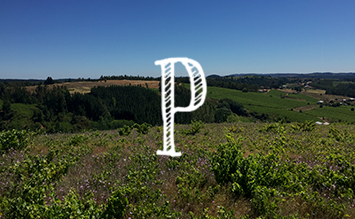 At optimum ripeness, the grapes are hand-picked and brought to the cellar for sorting. 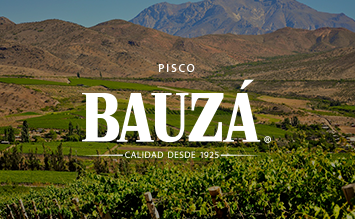 Vinification is conducted in small tanks to get the best extraction of aromas, flavors and silky tannins. 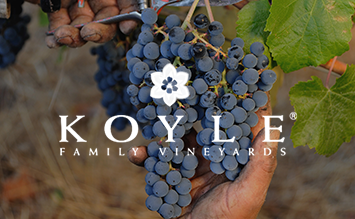 After fermentation, this Syrah is aged in 400 litres barrels for eighteen months, blended just before bottling, with no filtration.